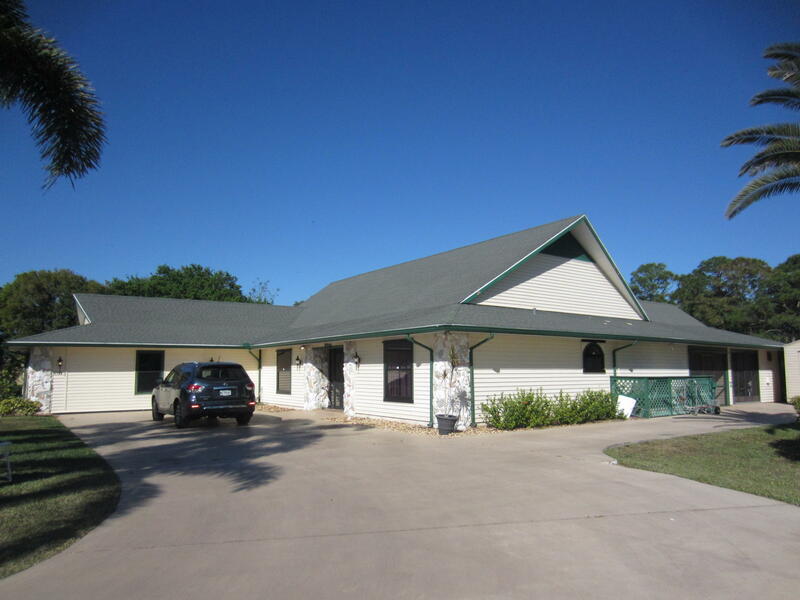 This gorgeous 4 bedroom 4 bath home sits on 1.82 acres partially fenced yard. Large patio with screened in inground pool. The home has a large kitchen with granite and stainless steel appliances. Guest suite with separate entrance and own kitchenette. There is also an air conditioned work shop and entire patio can be closed with accordion shutters. 2 sheds located on property. Plenty of room to bring your boat or R/V. Yard is on zoned sprinkler system using well water. A short 10 minute drive to beautiful historic down town Ft Pierce. Beaches and I95 are only 15-20 minute drive away.